^ "Ubisoft Entertainment SA acquires 3DO Co-Heroes of Might & Magic from 3DO Co". The Alacra Store. December 23, 2003. Retrieved 2009-10-05. ^ "Might & Magic Heroes VI will be released on October 13th". Ubisoft. August 5, 2011. Retrieved 2011-08-05. 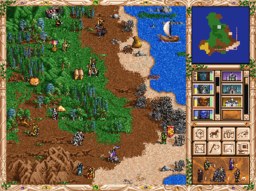 ^ "Heroes of Might and Magic 2". www.arsvcs.demon.co.uk. Retrieved 2018-05-21. ^ "Heroes III ported to Linux". Loki Software, Inc. October 28, 2000. Retrieved 2009-10-05. 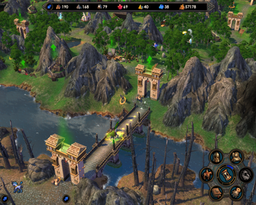 ^ "Heroes of Might and Magic Invade GameTap". GameZone. February 23, 2006. Retrieved 2009-10-05. ^ O'Connor, Alice (2014-08-13). "HOMMage: Might & Magic Heroes VII Announced". Rock Paper Shotgun. Retrieved 2014-08-13. ^ "Heroes of Might & Magic Collection". Mastertronic. Archived from the original on 23 April 2012. Retrieved 12 February 2019. 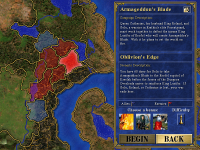 This page is based on the Wikipedia article Heroes of Might and Magic; it is used under the Creative Commons Attribution-ShareAlike 3.0 Unported License (CC-BY-SA). You may redistribute it, verbatim or modified, providing that you comply with the terms of the CC-BY-SA.